" /> Exciting new 2018 Range Rover Sport arriving in Colorado Springs soon. · New Land Rover InControl TouchPro Duo infotainment system – Featuring dual 10-inch high-definition touchscreens. · Model lineup will consist of a supercharged V6 and V8 models, a turbo-charged V6 diesel model, and the fastest Range Rover Sport we have ever made, the 575HP SVR model! · Up to 14 power ports, including a domestic outlet, to keep all of your devices fully-charged. · Gesture Sunblind – Open and close the blind with the swipe of your hand! · Advanced Tow Assist – Aids with steering maneuvers when reversing a trailer. 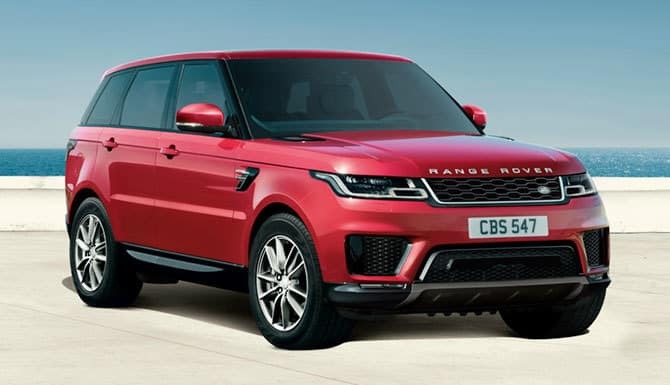 · Availability of Jaguar Land Rover Activity Key – allows you to lock and unlock your Range Rover Sport without a keyfob. Contact Land Rover Colorado Springs for more information. We can let you know when this exciting vehicle will be available for purchase in the Colorado Springs area!